Around 5 miles away from Maroon Lake is the Buckskin Pass. This is one of the easiest passes for hiking around Aspen. The pass spans the ridge between Minnehaha Gulch and the Snowmass Creek Drainage. The ridges close to this pass are home to plenty of mountain goats. 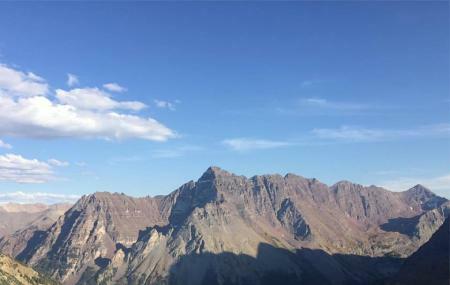 The views of the Maroon Bells peaks from this pass are mesmerising. You will also come across streams and meadows while hiking towards the pass. Wildflowers line along the path to the mountain. The main pass offers a superb panorama view of the Snowmass peak, Hagerman Peak and Snowmass Mountain and Lake. You can even trail to the Lake from here. The access to the trail from Aspen is same as the one to the Maroon Bells trail. Thunderstorms often take place in the afternoon. Try to avoid this time when hiking. You can hire a car or take a shuttle to get here. How popular is Buckskin Pass?